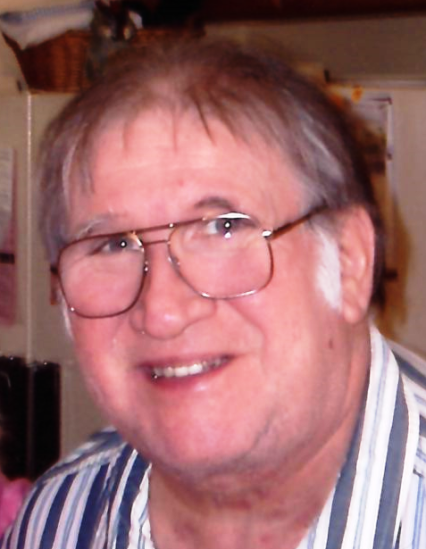 Loran “Stormy” Sutton, 77, of East Peoria, passed at 10:23 pm Thursday, Nov. 29, 2018 at Rosewood Care Center in East Peoria. He was born on January 22, 1941 in Chicago to Paul D. and Anna S. Gazdik Sutton. He married Patricia M. Ryan on July 20, 1963 in Joliet. She survives. Also surviving are their three children, Michael Sutton, Shannon Sutton, Erin (Chad) Pyeatte; two grandchildren, Brett (Amanda) Masters, Aaron Austin, two great-grandchildren, Corbin Joseph and Elleyna Rose, and special friends Doug Lance and Bill Dove. He was preceded in death by his parents, and brother, Paul Jr.
Stormy was a graduate of Bradley University in 1965 and held teaching positions at Odell Community High School, Lincoln High School, Carl Sandburg Junior College, Pekin High School, Manual High School, and Trewyn Grade School. After his teaching experience, Stormy expanded his detailed automotive and electronic expertise in his role as an inventor of products for the trucking industry. He was responsible for securing multiple patents and was featured in a Peoria Journal Star article regarding his invention of Temp-A-Start. Stormy began his Peoria area adventure as a student at Bradley. As a senior automotive student he designed an engine testing panel which took up an entire wall of the school's shop. The instructor gave up because he did not know how to work it, so he had Stormy teach the class. He frequently chuckled under his breath that he had one-upped his teacher. While teaching in Galesburg at the Jr. College he had the misfortune to suffer appendicitis resulting in a two week hospital stay. On the day of discharge before Pat could get to the hospital his students absconded with him to school to resume his duties in a wheelchair. He loved his H.O. Train set, he loved playing the organ and music. One of his favorite pastimes was singing with legendary Peoria piano player Jimmy Binkley. His beautiful baritone voice drifted through the lounge at Jumer's Castle Lodge. Usually patrons requested Old Man River, My Way and his favorite, On The Street Where You Live. The teacher in Stormy loved mentoring employees at the company TAS Distributing, Inc.
Over the years during Stomy's spare time he opened a business called Stormy's Alcove, a piano bar, where many of his friends came and played for the crowd. Another venture was running the Texaco Station which was located at Sheridan and Glen, where he continued to work and repair car engines. THIS WAS MY HERO ... HE ALWAYS HAD AN ANSWER .. HE COULD FIX ALMOST ANYTHING PUT IN FRONT OF HIM .. HE WAS AN INVENTOR , MUSICIAN, SINGER , AND I AM SO LUCKY TO HAVE HAD SUCH A GREAT DAD ... ANYONE WHO KNEW HIM ..KNEW THE SIZE OF HIS HEART BARELY FIT IN HIS BODY .. HIS INVENTION T-A-S TEMP A START SAVED MORE DIESEL POLLUTION , (LITERALLY MILLIONS AND MILLIONS OF TONS OF NASTY BLACK DIESEL SMOKE ) SAVED MORE WASTED DIESEL FUEL / OIL , AND SAW ENGINES EXCEEDING 1,000,000 MILES EASY... WITH ALMOST NO INTERNAL WEAR .. HIS TECHNOLOGY WAS(AND STILL IS 18 PATENTS) USED BY CAT, KENWORTH, MAC, WESTERN STAR, FREIGHTLINER, VOLVO, AND MANY OTHER APPLICATIONS ALL OVER THE WORLD ... WE HAVE LOST AN ICON OF THE GREEN MOVEMENT YET HE NEVER BOASTED , OR WANTED FAME .. HE JUST WANTED THE WORLD TO BREATHE A LITTLE EASIER .. ALL OUR TRUCKS / OTHER SYSTEMS ARE STILL RACKING UP SAVINGS FOR OUR PLANET .. WILL MISS HIM BEYOND ANY WORDS ,, I WILL MISS BEING ABLE TO ASK HIM QUESTIONS , AND HE WOULD ALWAYS A GOOD ANSWER ..R.I.P. DAD I LOVE YOU ..
Cremation rites have been accorded. A Celebration of Life will be held from 1:00-3:00 pm on December 8, 2018 at the Hampton Inn, 11 Winners Way, East Peoria, IL. Deiters Funeral Home and Crematory in Washington is in charge of arrangements. In lieu of flowers, memorial donations may be made to St. Jude Children's Research Hospital.